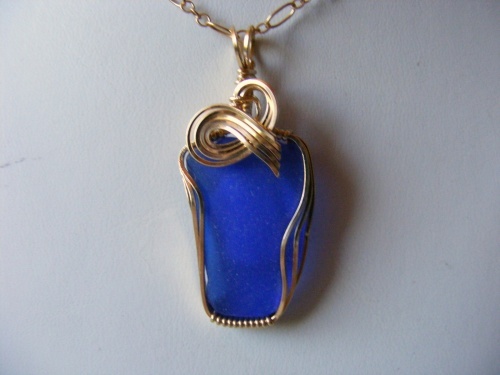 This is such a pretty piece of authentic cobalt seaglass sculpted in 14k gold filled curls, making the color show up even more. This is for you blue lovers. One of a kind. Measures 1 1/2" from top of bail to bottom and 3/4" wide and comes with a 14k gold filled chain.